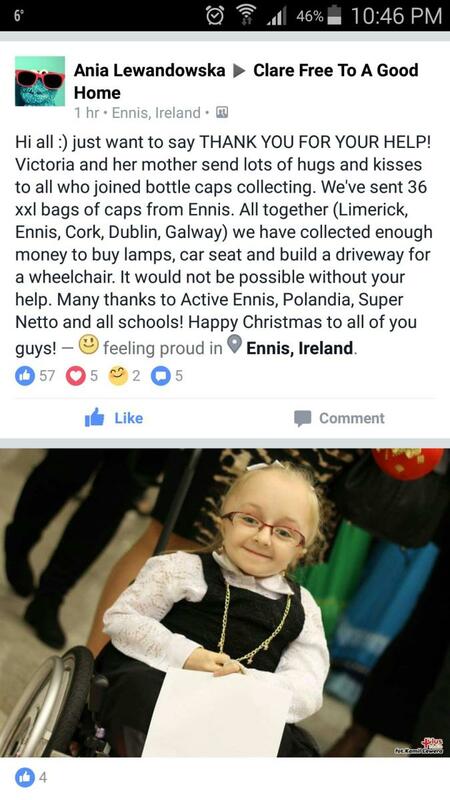 Thank you to all our Customers and Staff who assisted in collecting Bottle Tops for this very special girl called Victoria. Victoria has sent this update for all who helped. We would like to take this opportunity to wish Victoria and her family our warmest wishes for Christmas.